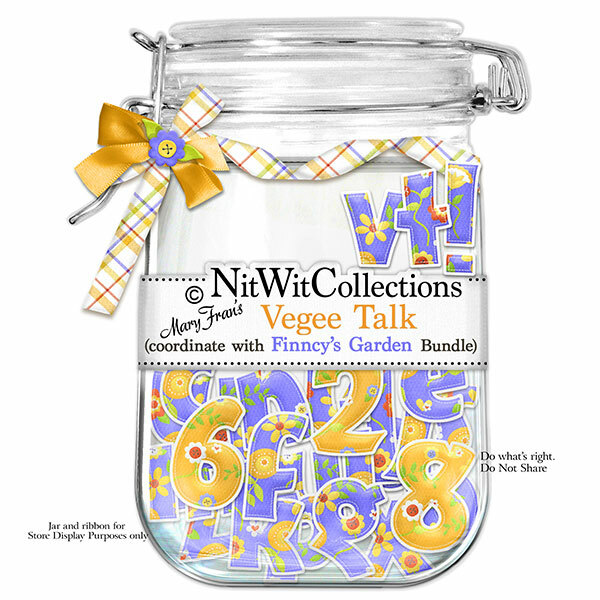 "Vegee Talk" is the perfect alpha to embellish your card or scrapbooking layout with. Will it show the year of your garden photo? Will it spell something out? We'll let your creativity be your guide. 1 AlphaWit set of lowercase letters, &, apostrophe, exclamation mark, question mark, and set of numbers (0 to 9) Numbers are orange and letters are a purple pattern.